Due to the some demand, I decided to publish this post. As a young child, I remember enjoying this soup at least once a week. My mom had a tall Oha tree at our front yard and each time she had to make some soup, she would bend it to pluck the leaves for the soup. 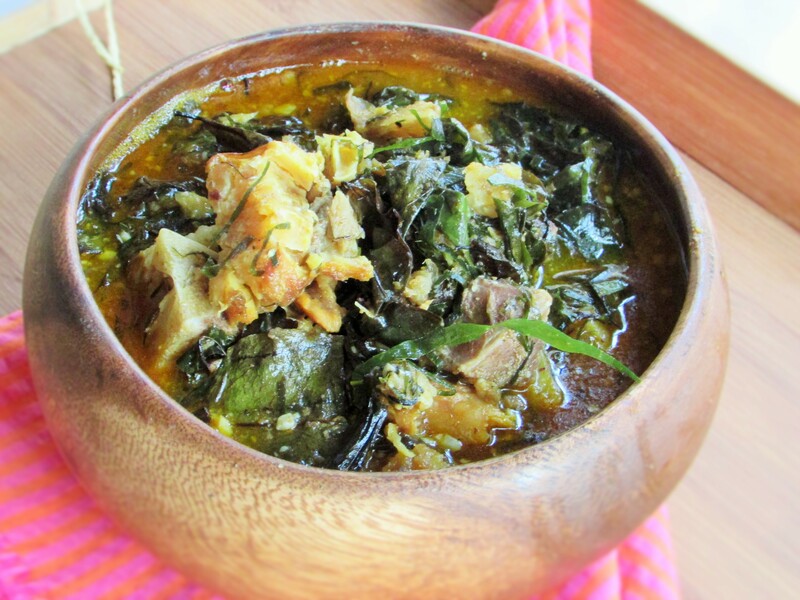 It goes with the saying that, “No matter how tall an Oha tree gets, it never gets taller than it’s owner.” This soup is the ‘ajebutter’ of all Igbo native soups. 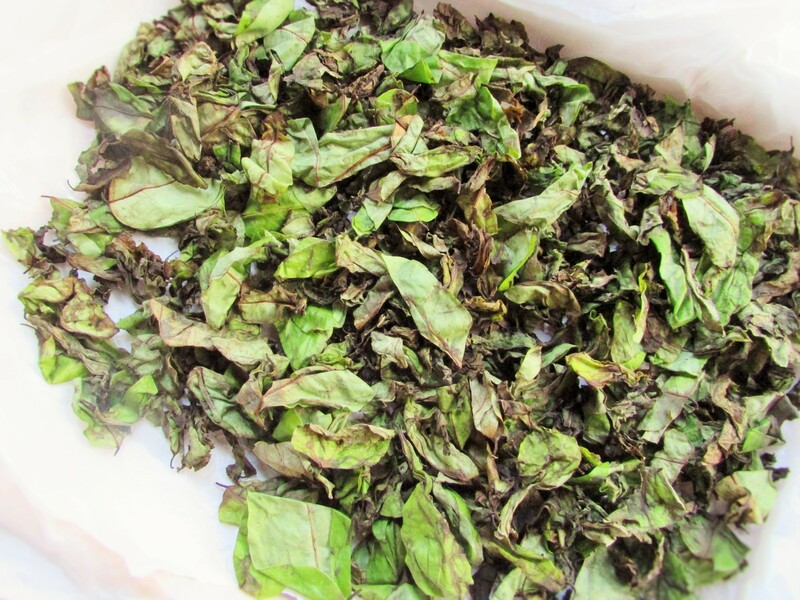 The leaves are so tender that once plucked, they have to be used immediately. According to the old time stories I have heard, you must not cut the leaves with a knife as it turns bitter. It really does not turn bitter, but the leaves, as tender as they are do not need a knife to cut it. 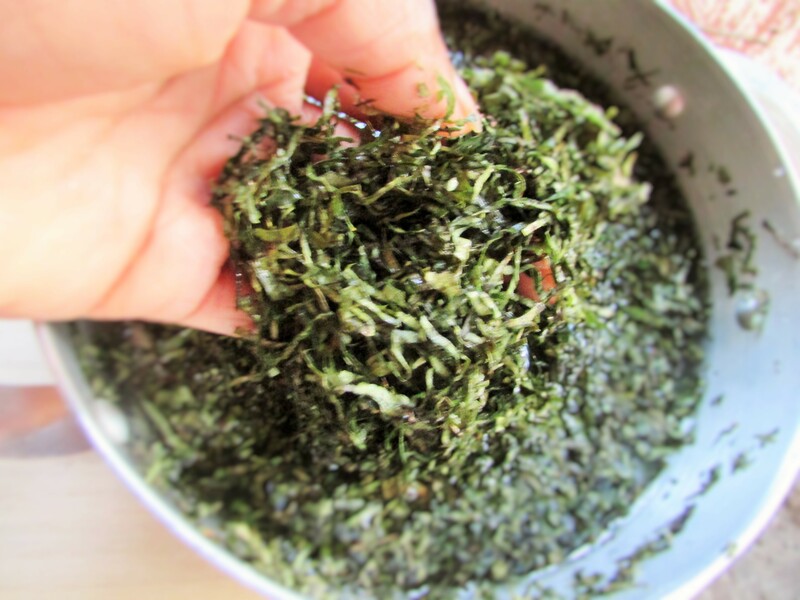 Traditionally, the leaves should be shredded using the tips of your fingers. To me, it is a sign of respect for the Oha leaf. In my opinion, the Oha tree and it’s leaves are virtually like one of the gods in the Igbo land. Whenever my mom made this soup, I remembered my Aunty. My father’s sister, she was a sweet woman(GOD rest her soul). She used to make Mushroom soups for us whenever we visited the village(country side). I may share how to make that soup someday. 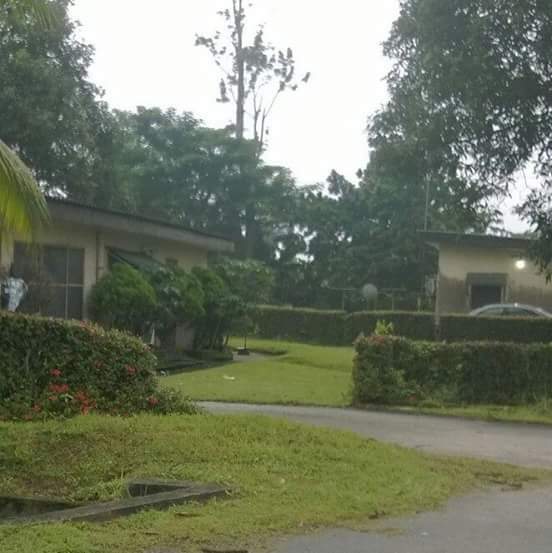 We lived in the NNPC(Nigerian National Petroleum Cooperation) estate in Warri of Delta State Nigeria. My father worked as an Engineer and we also owned 3 small farms. Two beside our house and one by the NNPC plant; close to my daddy’s office. I have memories of going to the farm as a child and helping out my folks. We would eat roasted yam and oil with ugba(oil bean) for rest time and continue for another hour before going home. I was quite young, so I just played around the farm and helped to carry the grass. I remember hearing the playful voices of monkeys and playing with their strings. Of course I saw none since they hid from us, but I could hear them cackling in the bushes and my father would show me their strings and say “Ka bu ife Monkey” (this are the monkey strings). At home, at our front and back yard, we had all kinds of vegetables and fruits. The Oha tree was one of the tallest trees by our house. We grew peppers, pumpkins, mangoes, Almond fruits, corn, yam, cassava, pineapples, plantains, bananas, coco yam etc. I have a recent picture of the place we once lived, but I could not get one of the trees as they were all gone. I almost cried, the fruits were gone. I am just glad I enjoyed those things. 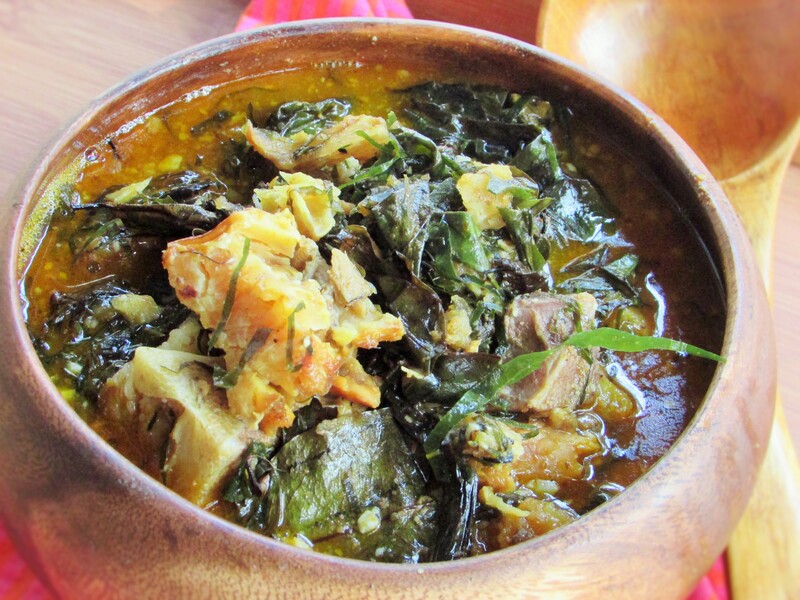 In making this soup, you need fresh oha leaves. They look bright green in color and are soft to the touch. I got some fresh ones from a friend who returned from Nigeria, but I had to sun them since I could not make the soup the same day I got them. Most of it stayed green; luckily since I did not refrigerate it. When you put Oha leaves in the fridge, they go black. Being black is also okay. You may still use them. It just goes to show you how tender the leaves can be. To compliment the Oha, I also added Okazi. Okazi gives the soup a little drama(a good one). I also used Ofo’ instead of Achi as a thickener. You may use the white coco yam(wild taro), or blended old fashioned oatmeal. Oatmeal is even a better option these days; due to it’s health benefits. I never use a lot of thickeners because the Oha leave itself will melt a little to thicken the soup. I also used Palm oil instead of Akwu (Palm nut cream). The Palm nut cream we get outside of Nigeria is much more concentrated and I felt it would be too strong a taste in this delicious, but fragile soup. I have to say that the Palm oil worked really well in this soup. When it came to seasoning this soup. I used Ogiri, salt and crayfish. In the early days, our fore fathers used native salt and Ogiri(fermented locust bean paste) along with dry fish, and crayfish to compliment the taste. You may use Maggi or any Bouillon of your choice to compliment it these days. I did not, but you are most welcome to. wash the meats and put into a pot along with the stock fish. Season with dry pepper, salt, 2 tbsps. of the crayfish and the Maggi crayfish(if using any). Pour water to the level of the meats and cook until tender. This entry was posted in Nigerian soups, Nigerian Stew, Nigerian stews, Side dishes, Sides, Soups, stew, Stews, Uncategorized and tagged Achi soup recipe, coco yam soup recipe, how to make oha soup, Nigerian native soups, Nigerisn Native soup recipe, ofe oha recipe, Oha soup recipe, Okazi soup recipe. Oatmeal as thickener, nice ?. The last time I made ofe onugbu I didn’t blend enough cocoyam, added a bit of corn starch to get the desired consistency. Worked a charm ? Can I use corn flour as a thickener instead of oatmeal or cocoyam? What is achi and ofor by the way? I loved the background of the personal story you shared. Great recipe. ?